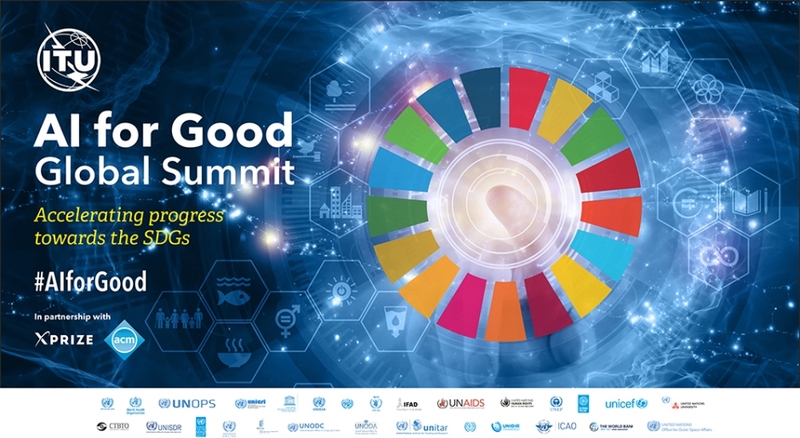 The 2nd edition of the AI for Good Global Summit will be organized by ITU in Geneva on 15-17 May 2018, in partnership with XPRIZE Foundation, the global leader in incentivized prize competitions, the Association for Computing Machinery (ACM) and sister United Nations agencies including UNESCO, UNICEF, UNCTAD, UNIDO, Global Pulse, UNICRI, UNODA, UNIDIR, UNODC, WFP, IFAD, UNAIDS, WIPO, ILO, UNITAR, UNOPS, OHCHR, UN University, WHO, UNEP, ICAO, UNDP, The World Bank, UN DESA, CTBTO, UNISDR, UNOG, and UNOOSA.The AI for Good series is the leading United Nations platform for dialogue on AI. The action​-oriented 2018 summit will identify practical applications of AI and supporting strategies to improve the quality and sustainability of life on our planet. The summit will continue to formulate strategies to ensure trusted, safe and inclusive development of AI technologies and equitable access to their benefits. Watch the event live here! AI + Health: AI – Game changer in providing universal health coverage? Andrew Zolli, VP of Global Impact Initiatives, Planet Labs Inc.